After eating at Dishoom I totally feel their pain! and oats. 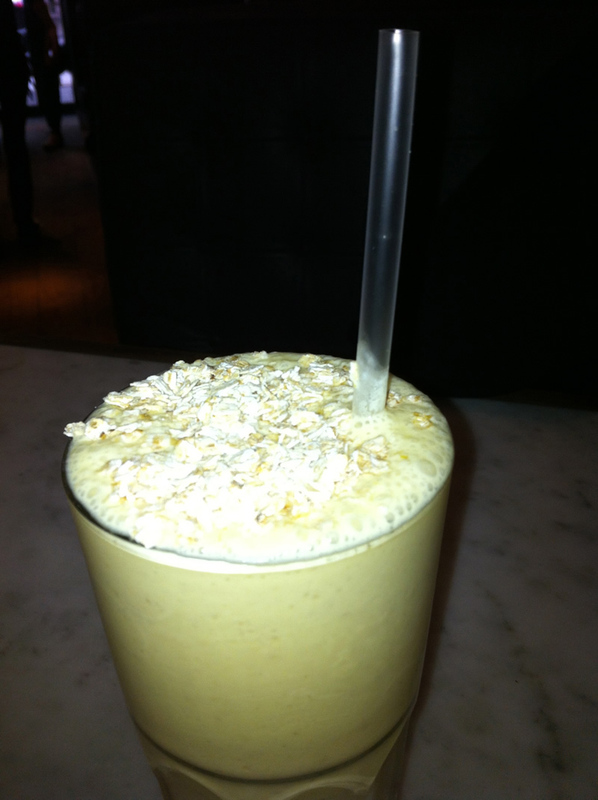 The coffee was incredibly strong which I loved, the Lassi was gorgeous. Smooth & sweet and thick with oats I left healthier with every mouthful. That healthy feeling didn’t extend to my ‘Full Bombay’, Indias answer to the full English. 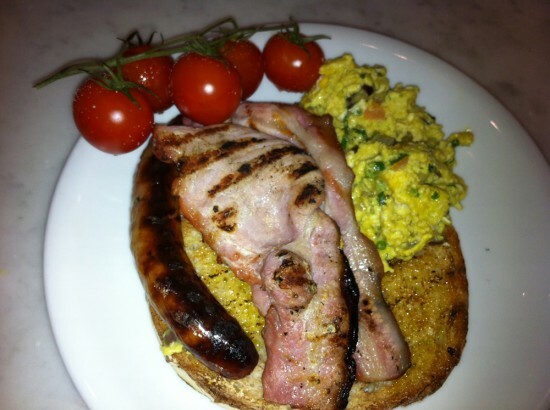 It included Akuri on toast (scrambled egg with chopped ginger, coriander & chilli), Cumberland sausage, smoked bacon, grilled vine tomatoes and a cup of chocolate Chai. A spicy chai tea with chocolate & cardamon. I’ve always been fond of a good full English but i’m totally converted to ‘Full Bombay’ now! The Cumberland sausage & bacon was of the highest quality and wouldn’t be out of place on any top English breakfast. The tomatoes looked raw but were actually grilled, warm and incredibly sweet they brought a real freshness to the dish. The star of the show though was the Akuri, which were simply amazing, perfectly cooked buttery scrambled eggs taken to another level with the spices, ginger & chilli, just stunning flavours. The Chocolate Chai was also very enjoyable, luxurious and chocolaty with a real kick. My partner ordered a Bacon Naan Roll which looked amazing. 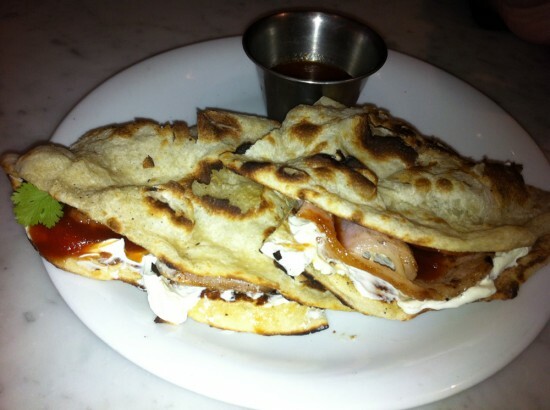 A fresh naan bread filled with smokey bacon, sour cream, homemade chilli jam & coriander. It tasted just as good as it looked and is an absolute bargain at £3.70. The homemade chilli jam was so good I used it up with my sausage & bacon, better than ketchup any day. I absolutely loved Dishoom, I will definitely be back next time i’m in London not only for breakfast but they have a main menu full of interesting sounding curries, grills & salads. The only problem is i’m not sure if i’ll be able to enjoy a regular bacon roll or full English quite as much again.